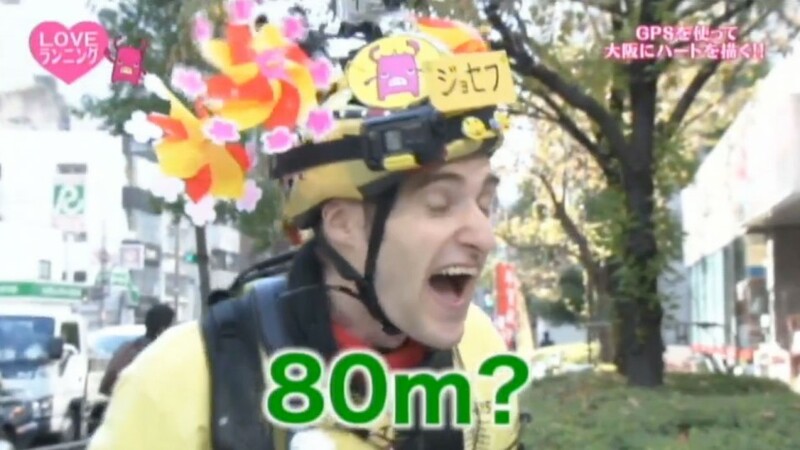 A little while back, Yomiuri TV, part of the Nippon TV network based in Osaka, approached me with an idea to turn Running Art into a running game, to be played on the streets of Osaka. 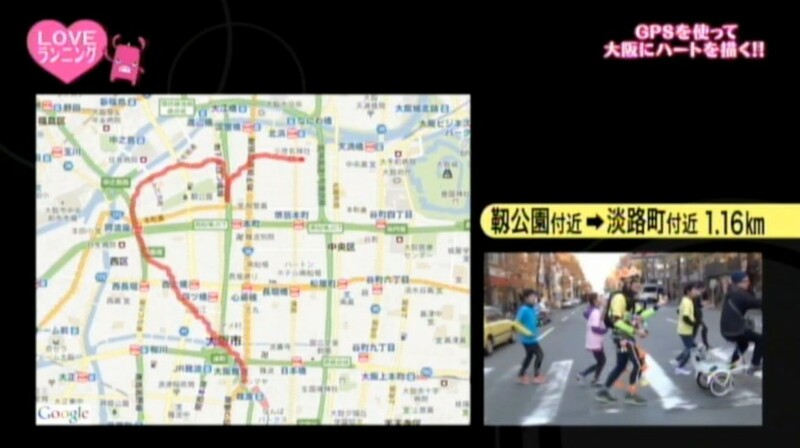 The concept was as follows: Design a 10km running art course in the shape of a heart in central Osaka, and have the presenters (Nishino-san, Ann Nakamura and the legendary runner / celebrity Kanpei-chan run the course, led by yours truly. There was just one catch: the runners could only proceed if they found members of the public in relationships, with the length of the relationship that that person was in determining the distance that the team could run. 1 year became 1km – so if the team found someone who’d been in a relationship for 4 years, they’d be able to proceed 4km along the course. On the other hand, if it turned out that the person they stopped and asked wasn’t in a relationship, then the team would have to go back 1km for every 1 year that that person had been single. Whilst a relatively simple concept, as the day went by we found it was pretty challenging to guess who was in a relationship: at one point we met a woman who’d been single for 4 years – sending us almost back to the start! This was a really fun project to be involved in. 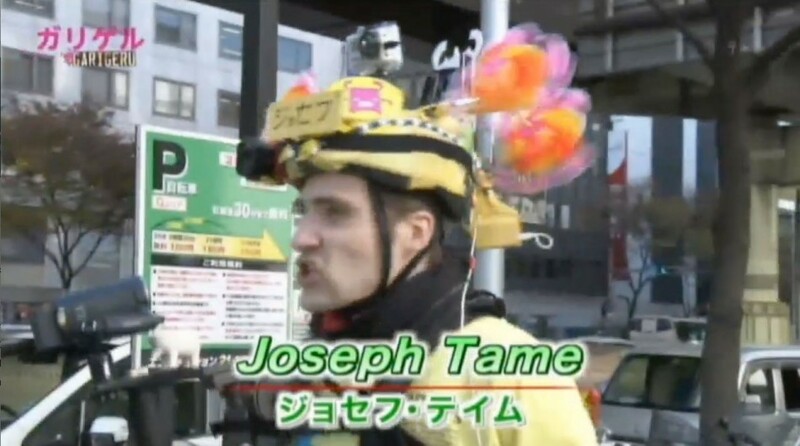 It was especially funny running through the streets and seeing the double-takes as first people saw me with my windmills, and then recognising Kanpei-chan behind. 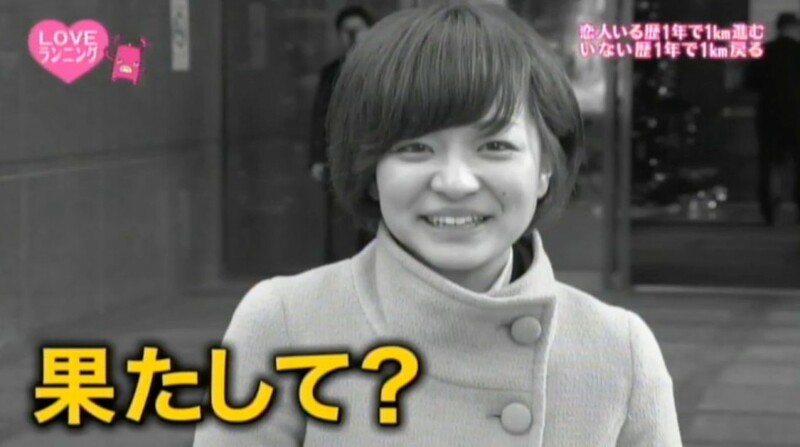 The program was broadcast in two parts, first on Yomiuri TV in Kansai, and then nationwide on local cable stations. Episode 1 is embedded below.